Please review the Pre-Dental Fact Sheet at the right for information about suggested undergraduate courses to prepare for dental school, options for your major, and the career outlook for dentists. Pre-Dental is not a major, and students must still choose a major. 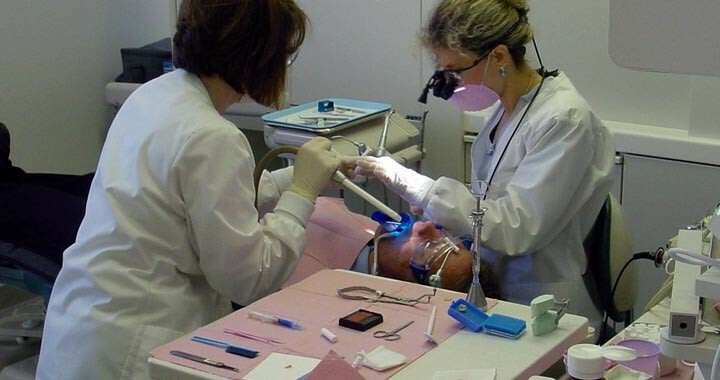 Since most of the pre-requisites necessary for application to dental school are in the sciences, many students choose a science major, though it is not required. Our specialized pre-dental advisor works with students to ensure they understand all of the milestones that must be met in college in order to be a competitive applicant to dental school. A significant number of volunteer or work hours is often a requirement for application to dental school so it is important to work with this advisor beginning in freshman year in order to plan all needed activities into your college career. A suggested timeline is also available to help you plan preparatory activities throughout your four years in college.